Nothing has reshaped the landscape of collecting (and artifact pricing) as much as eBay. Before Pierre Omidyar started eBay in his San Jose, California living room back in 1995 we radio collectors turned to the delightful pricing guide books lovingly and painstakingly created by Norm Smith, Eric Wrobbel, Marty and Sue Bunis and others. Pierre changed all that. Slowly at first, and then rapidly the prices of many collectibles, including mid-century electronics shot up as enthusiast discovered on eBay, and fought over items they thought they would never be able to see, much less own. The general effect of this, at least in our area of interest, has been the lowering of prices of average-to mid-range collectible items. Many radios with $50.00 book values routinely fetch only $25.00 or less on eBay today. But this is not always the case. 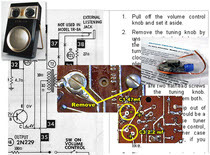 Radios with a book value of $50.00 often sell for $100.00 or more now, and so on. In other words, it’s a crap shoot. Even big ticket stuff is hard to judge. Our online marketplace is becoming very schizophrenic. Radios with a book value of $600.00 sometimes sell for $6,000.00. The next week another identical or nicer example will sell for below book value. In other words, price guides are no longer very helpful for price setting, but they are still fun to own and important historical records. While they are all out of print, you should get your hands on one of each. You can find them on eBay, of course, and at Amazon and elsewhere. See the Bibliography for recommendations. 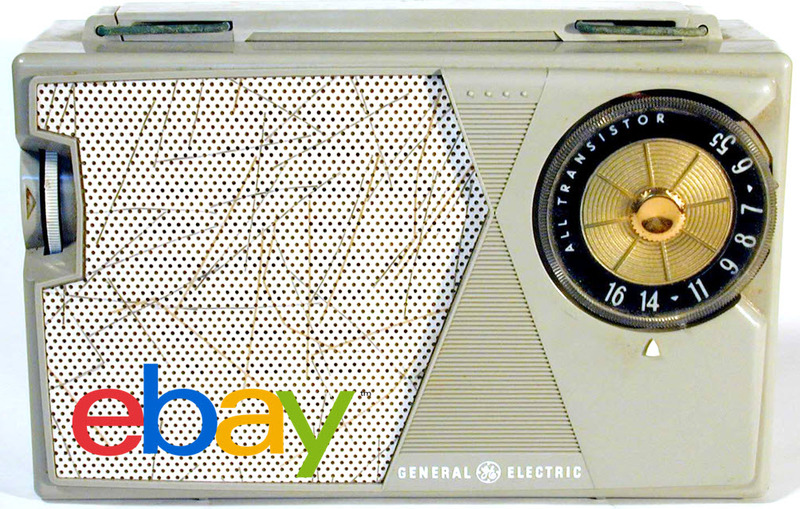 Today, radio prices on eBay prices are set by the handful of bidders who find an item and bid within the three-to-ten-day auction period. A popular collectible auction page might get about 1,000 or more visitors, and multiple bids from between five and ten serious bidders. Here is something vitally important to understand if you want to consistently win eBay auctions. It's called proxy bidding. Contrary to what many people think, the final price of an item on eBay is actually determined by the second-to-last bidder, not the highest bidder. So, suppose I might be willing to pay $2,000.00 for a particular radio. The current high bidder has bid $1,000.00 for it. At the last possible moment I bid $2,000.00, and I win. My winning price is—anyone? No, it’s not $2,000.00. My winning bid is $1,025.00, which is one bid increment more than the current high bid. In other words, eBay has automatically bid on my behalf just enough for me to win, even though it knows I am wiling to pay more. There’s a downside to this as well, and it is equally important to understand. Have you ever wondered why you lost an auction even though you bid more than the winning bidder? It’s because your bid was not at least one bid increment more than the current high bid at the time the auction ended. Take a look at that table again. If the high bid was $999.99 when you placed a bid of $1,005.00 eBay’s proxy system would not honor that bid from you since it was not at least one bid increment ($10.00 in this example) higher than the current high bid. If you use sniping tools that bid for you automatically in the last few seconds of an auction, there is something you should know. Never enter any more than you absolutely want to spend when you set up a snipe! Imagine this. 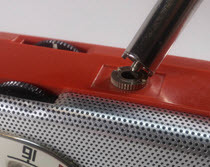 You see a radio that should sell for around $50.00 and you really want it. You think "What the heck, I'll enter $400.00 just to be sure I'll get it," believing that no matter how much else someone else bids, it won't be $400. It will probably be $5.00 or $55.00 in the worst case. Along comes another bidder and, thinking the same thing S/he enters $200 as the snipe amount. BAM! The auction ends and you win for -- anyone? Yup. $205.00. Ouch. That second bidder set the price and you won for that price plus the automatic bid increment. And eBay takes a dim view of folks retracting bids (canceling purchases.) Expect your feedback to take a hit as well. Buy it Now eBay listings need to be mentioned as well. (You will often see this feature abbreviated BIN.) Savvy buyers cruise eBay looking for attractive BIN prices. Sometimes low Buy it Now prices are offered because the seller is clueless. Sometimes sellers are in a hurry for some quick cash. Or, the seller might know there is something wrong with the item. The old adage that “if it looks too good to be true it isn’t true” is often, but not always right on eBay. If you find an excellent Buy it Now opportunity, pounce on it. There are multiple “flavors” and variations of eBay’s BIN feature, and you need to understand the ramifications. Plain Buy it Now auctions are just that. The seller sets a price and runs the listing for between one and ten-days. If someone buys it it’s gone. A variation on this is a relatively new, optional “Best Offer” feature where would-be buyers can offer something less than the BIN asking price and the seller can accept the offer or not. Sometimes auctions have Buy it Now options. You can pounce, or wait and risk losing it to someone else who chooses to buy it now. Be wary of phrases like “I didn’t have the right batteries so this is being sold untested and as-is. Sometimes that’s true, and the item will be fine, but it’s often a red flag. Read sellers’ feedback, especially before placing substantial bids. Learn how to sort and sift eBay search results. For example, it’s possible to see only Buy it Now items, or sort to display recently listed items first, or items about to end first, and so on. Develop a strategy that makes good use of these features. For example, searching recently-listed Buy it Now listings can turn up bargains that might soon disappear. Practice searching, even if you are not ready to buy anything. Learn how to find stuff you like. Test to see which search words work best. Try searches just on titles and then on titles and descriptions. When you find search strategies and search terms that work for you it’s possible to save them and run these “saved searches” whenever you like. Saved searches can also run themselves automatically each day and send you emails when new items appear. This is a powerful, handy feature. Realize that when you look at completed searches when prices are shown is in red the items did not sell. It’s one thing to ask $500.00 for a radio, it’s another to get it. 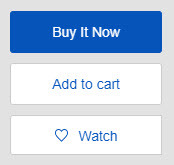 Clever eBay shoppers are using the new “Want it Now” feature to troll for things they need. This is a little-known eBay feature, but it is catching on, and costs nothing to try. Sometimes we get ahead by trying things others don’t. This could be one of those times! Look for stuff hiding in plain sight. Sometimes the good stuff hides right there in plain sight. I wish I still had the auction photo. I was browsing eBay with the search term “Vintage” I think, and right there in the middle of a pile of stuff the seller actually described as “some old 50s’ junk” was a $100.00 radio. The auction started at $0.99, and since even the seller thought it was all junk I ended up being the only bidder, and won at the starting bid amount. I asked the seller to toss out all of the junk but the radio, which she did. Keep your eyes open.